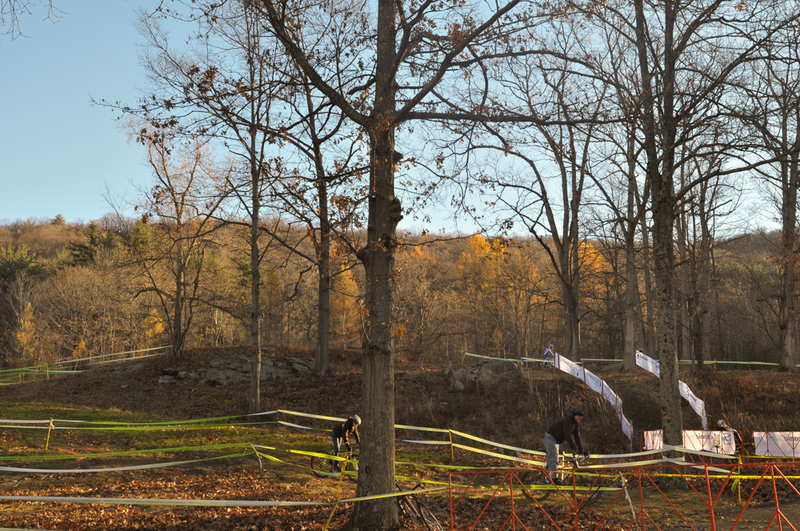 With Staten Island Cyclocross, aka SICX, on the endangered but hopefully not extinct list, the last remaining "New York City" cyclocross race is the Supercross Cup, a race that has been through its own share of hurdles including a new venue at Anthony Wayne Recreation Area near Bear Mountain. Team Sixcycle-RK&O had several riders in action on day one of the Supercross Cup and Matthew Vandivort posted this report. Coming at the conclusion of a long road season I generally avoid taking cyclocross too seriously, though there are still a few races that I get particularly excited for. 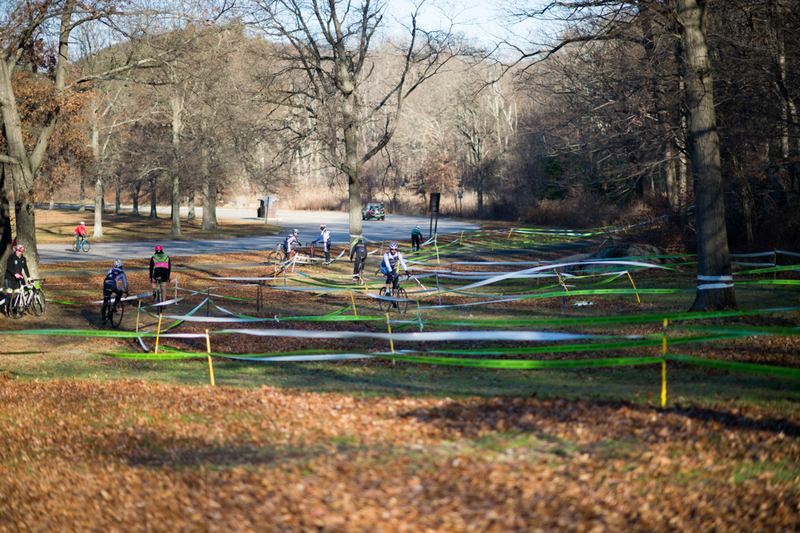 The Providence Cyclocross Festival is one of them, and this weekend's Supercross Cup is another. Of course that excitement doesn't necessarily translate into preparation - and the day before the Supercross Cup I realized my normal cross bike was in no shape to be raced (thanks to a mechanical I had finished my last cross race on a borrowed bike three sizes too small for me) so I made the last minute decision to race my single speed belt drive cross bike instead. Foreshadowing: this turned out to be a bad decision. With cold temperatures and a race start prior to the sun emerging from behind the hills at the Anthony Wayne Recreation Area, I started the race bundled up in a Louis Garneau Elite Thermal Vest though I was also one of the few guys with bare legs. Go figure. The start was pretty typical for a single speed bike in a geared race - slow off the line, pass a few guys and then run out of RPM's. But with a staging at the back of the field, no amount of gears would have put me on the front through the early corners. Which means my start was just about inline with my low expectations. Of course hitting the first obstacle mid-pack is always fun, and this would be no different as we hit the first steep run up - rideable with a clean line and gears, but I was lacking the latter so I dismounted to run it....and immediately ran into a multi-rider pileup on the left side of the course. Solution - move to the right, only just as soon as I did so I was faced by a rider that somehow wound up in reverse - falling backwards down the hill and taking out several riders out in the process. Thankfully, with just such a calamity in mind, I had mounted a GoPro on my handlebars - the fun stuff starts at ~1:20 on the video below. Luckily just as the rider moving in reverse came to a standstill, a line opened to his left, allowing me to continue picking my way through what was a very rough course - I was a particular fan of the giant hole right on the line coming out of a downhill corner. Not something you see every day (and something that the afternoon races may not have experienced as several buckets of dirt were dumped in the hole after our race). Eventually I reached the backside of the course where there was another short but steep rise coming out of a downhill corner. The field was undecided on riding it vs. running it. I decided to go for the former but after just a few pedal strokes I heard a massive crack and my knee went directly into my handlebar. Dismounting I discovered that three of the five arms on the spider had sheered completely off, which combined with an already swelling knee (complete with an imprint of my handlebar tape) was sufficient to convince me to call it a day. 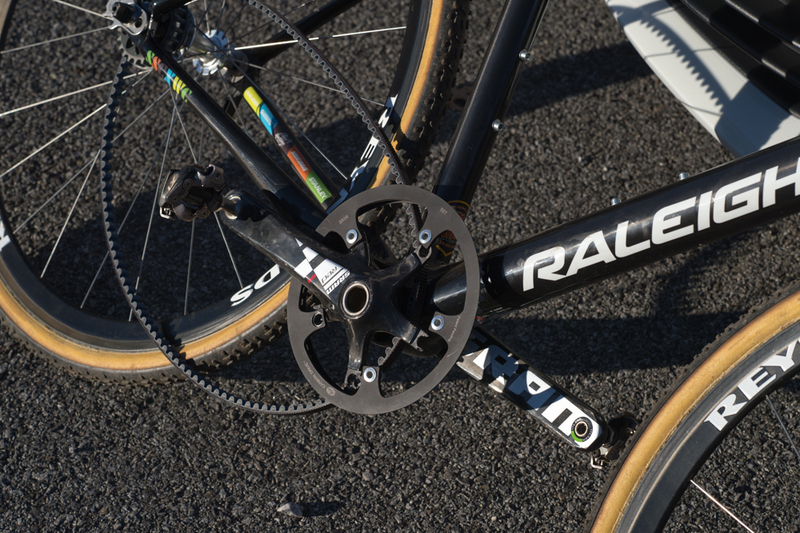 On the plus side this mechanical occurred before the two big curbs that seemed to be contributing to an incredible number of flats during the race, so I was fortunate in leaving with two intact tubulars (and unfortunately one shattered crank). You win some and you lose some. With mechanicals in my last two cyclocross races I suppose this is another one for the lose column, but its hard to be too upset with walking away with body and bike mostly in one piece.